An agreement is defined as an arrangement between two or more parties about a specific something that they both agree on. Agreements can be about anything, like business, sales, real estate, loans, investment, partnership, employment, etc. There is a meeting of the minds in an agreement and in order for an agreement to be formed, all of the parties who are taking part in it must agree to the same terms and conditions at the same time and at the same place. 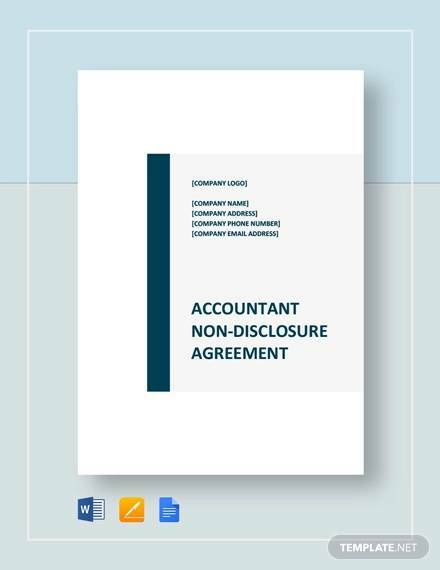 A non-disclosure and non-compete agreement is one of the many agreements that is being used today. In this article, we will define what it is, identify its uses, what you need to know before signing one and other related information. We have also gathered agreement templates that you may use as reference as we go over the topic. Feel free to check the templates below. 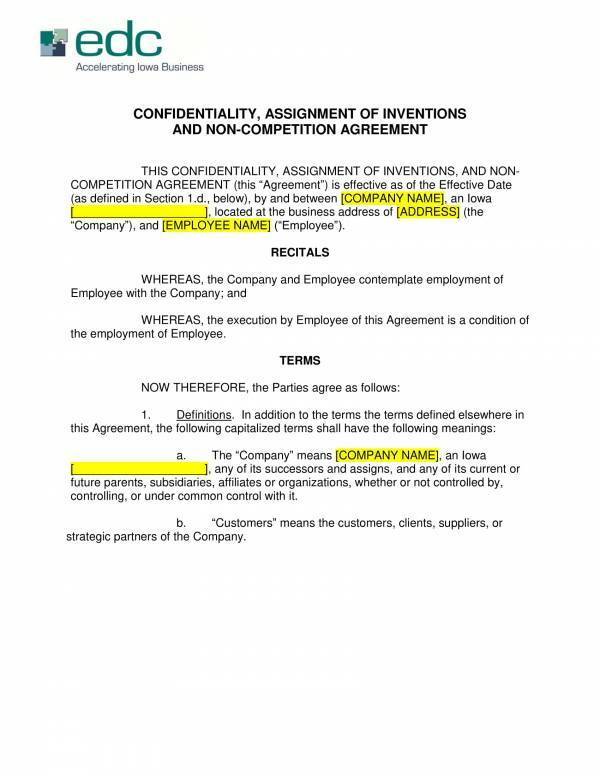 What Is a Non-Disclosure and Non-Compete Agreement? 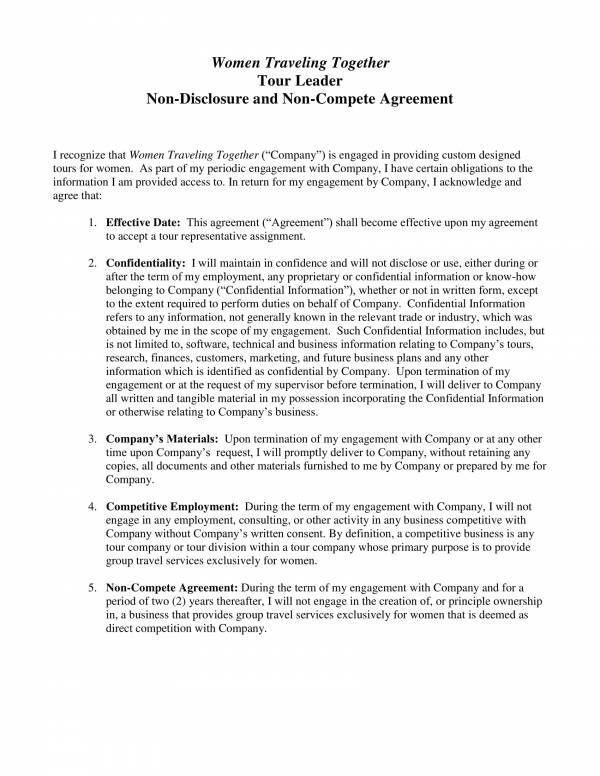 A non-disclosure agreement and non-compete agreement are two separate agreements used for specific purposes. They are often created as separate documents and used for completely different transactions. 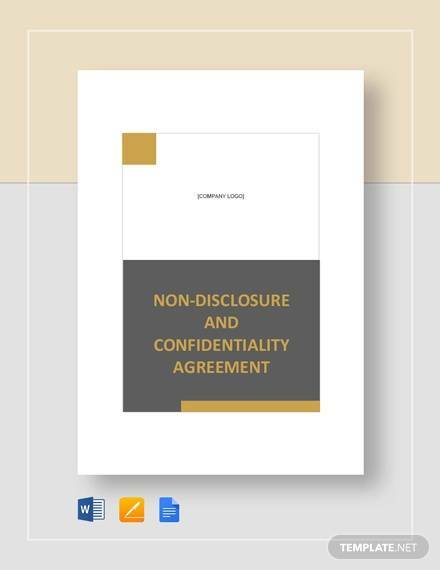 In a non-disclosure agreement, confidential or proprietary information is shared between two or more parties for certain purposes. One party discloses confidential information while the other party receives the information. There are instances when all parties disclose and receive important or confidential pieces of information. 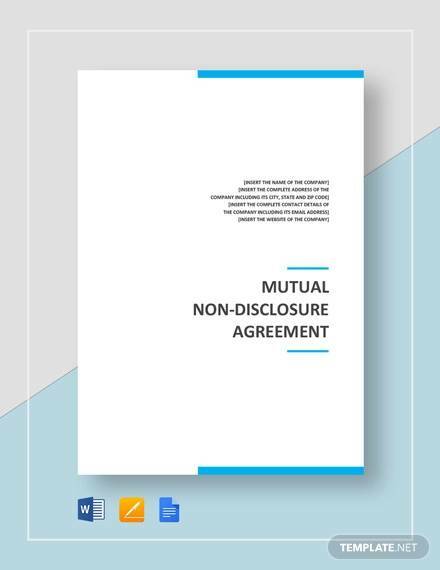 The provisions of the agreement clarifies which information is considered confidential and obligates the parties involved to protect this confidential information from getting into the wrong hands or from outsiders. 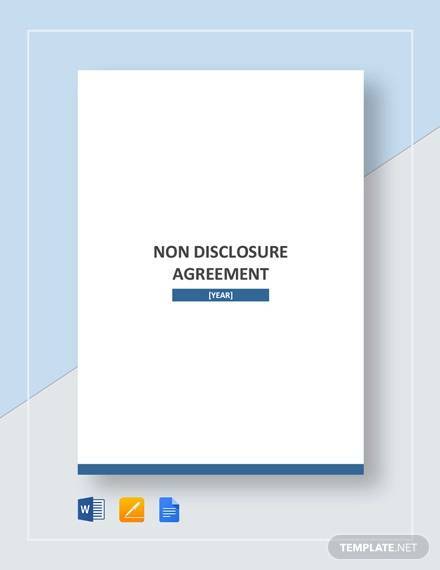 Non-disclosure agreements are put in place so that trade secrets can be kept safe, especially when doing business transactions with other businesses. A non-compete agreement on the other hand is a restrictive agreement that restricts employees and other individuals from entering or starting a similar business or profession in the same field or industry against another party. Non compete agreements often take place between an employer and an employee, where the employee agrees not to join or enter into any competition for the whole duration for the whole duration of their employment and some number of years after their employment. The agreement legally restricts employees from working in markets or industries that are in direct competition with their employer. 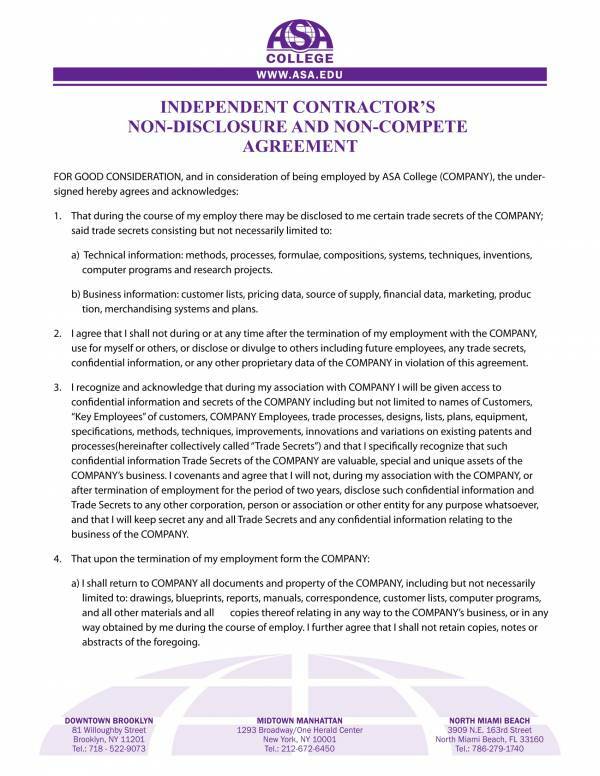 Just like non-disclosure agreements, non-compete agreements are also used to protect trade secrets and prevents employees from using and applying what they have learned to another company. 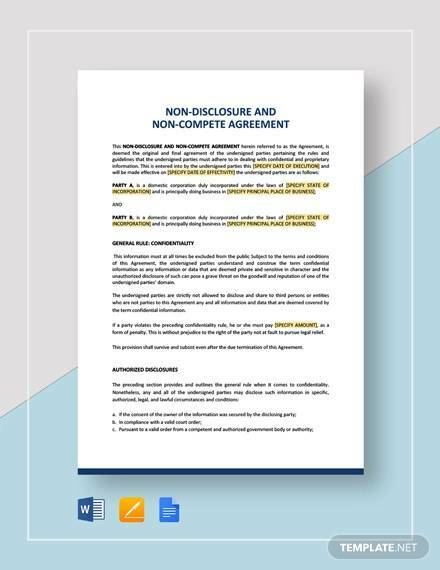 Non-disclosure and non-compete agreements are very useful in transactions related to business, employment, partnerships, sale of businesses, etc. If put together, the agreement does not only identify and protect confidential or proprietary information but they also prevent previous employees, buyers or business partners from engaging or starting a business that is in direct competition to ones own business. 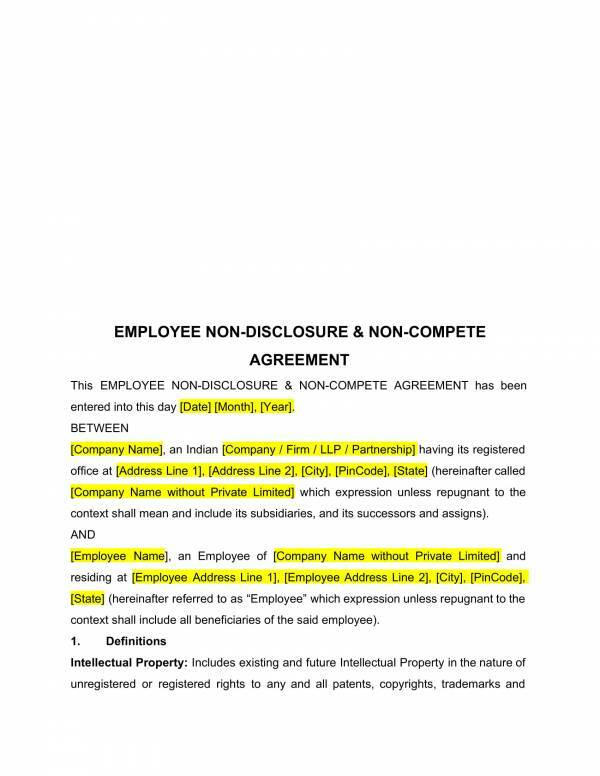 Other uses of a non-disclosure and non-compete agreement are listed below. The agreement legally binds the the parties involved making them oblige to the terms and conditions or provisions of the agreement. The use of the agreement in certain transactions helps create a feeling of security among the different parties involved. Because of this they can make sure that the other party they are in agreement with will do their part and share of responsibilities as agreed. 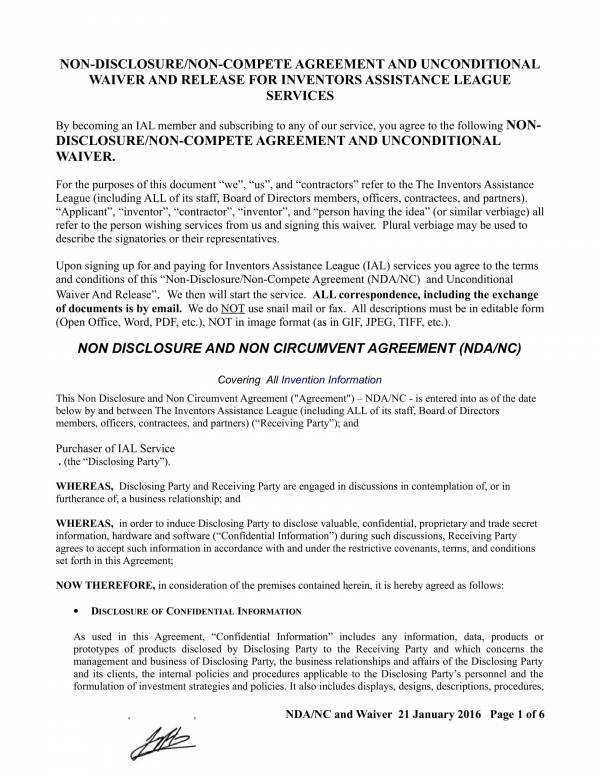 The agreement is used to define exactly what confidential or proprietary information is in the said transaction as well as what other forms of information can and cannot be disclosed. The agreement is also used to define violations or breaches to the agreement, including specific remedies for each violation or breach. Agreements are generally useful, regardless of what type they are as long as they are used in the appropriately. 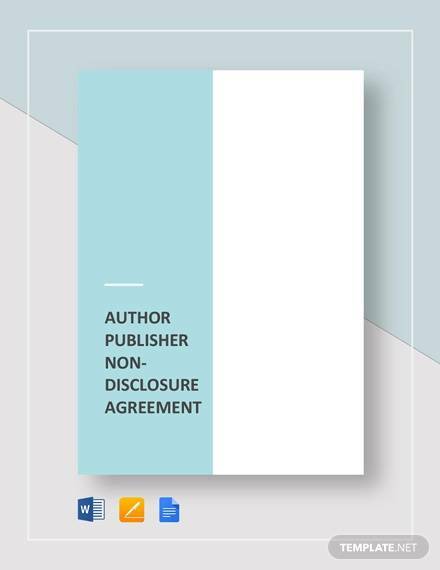 Other related articles where you can learn more about other types of agreements are Non-Disclosure Agreement Templates, Employee Non-Compete Agreement Templates, and Confidentiality Agreement for Consultants. 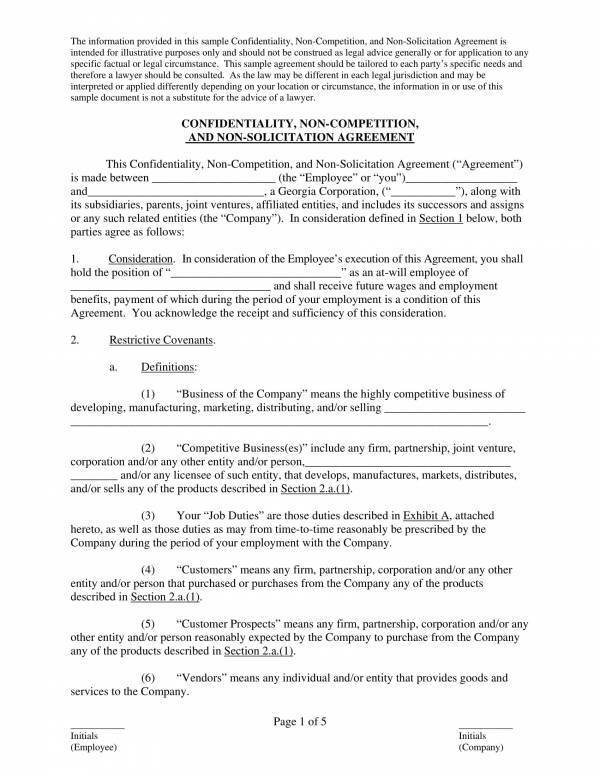 Can You Be Forced to Sign a Non-Compete Agreement? As defined above, a non compete agreement takes place between an employer and an employee that prohibits or restricts the employee from engaging or starting a business that directly competes with their current employer. 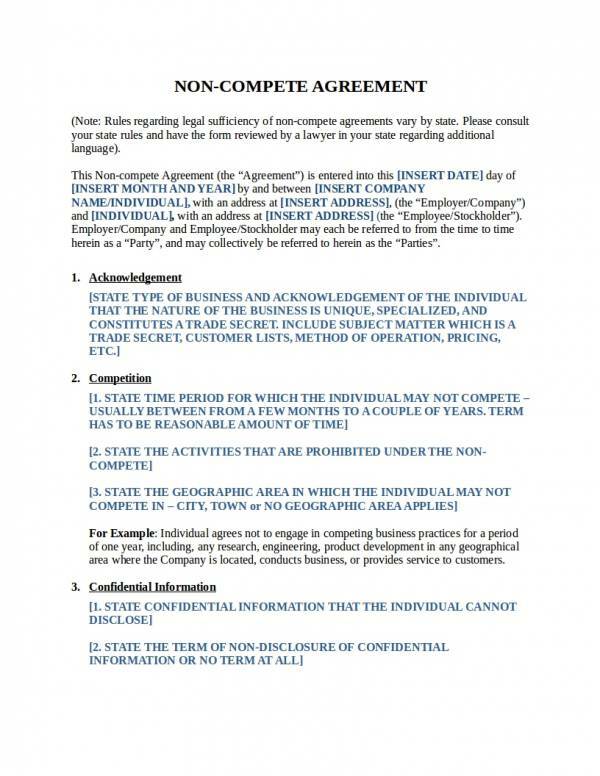 This is of course of the employee agrees to the said agreement. If the employee doesn’t they can choose not to sign the agreement. 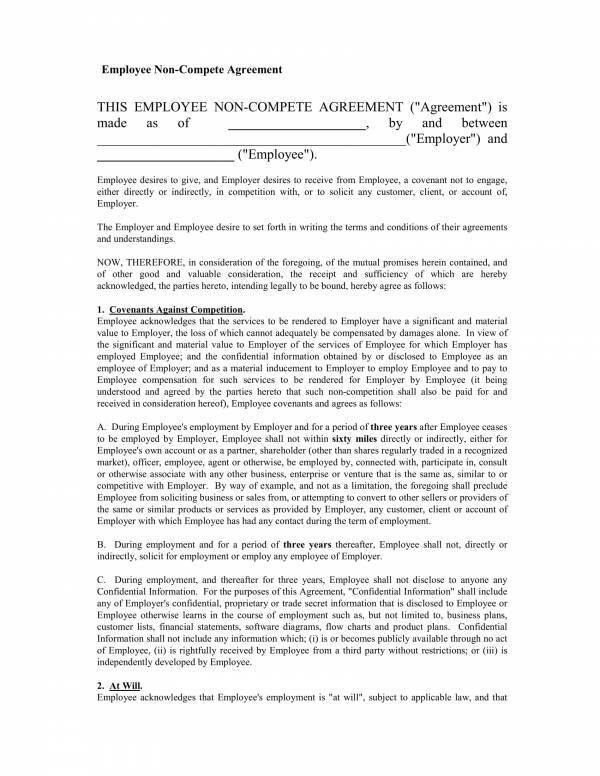 The employer also cannot force the employee to accept and sign the agreement, but they can terminate the employee if they want to. 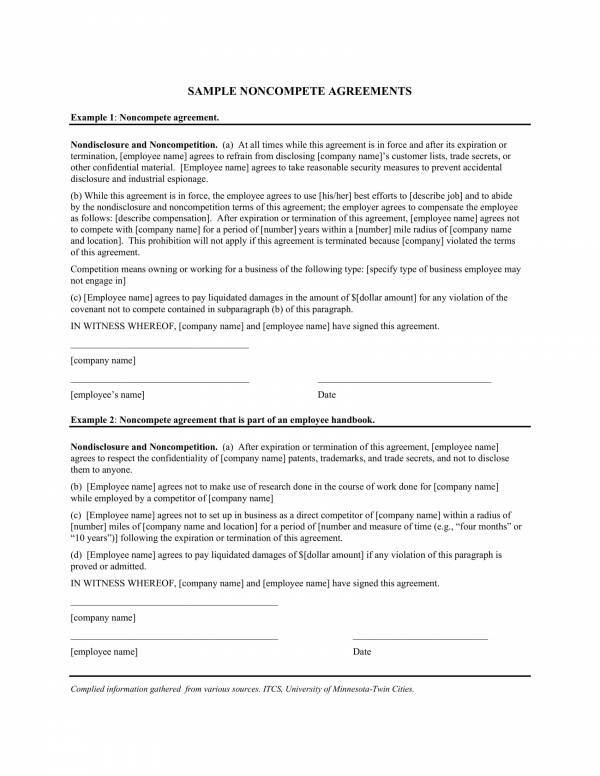 Applicants who refuse to sign a non-compete agreement may not be hired by the company where they applied for work. Non-compete agreements are generally not approved by courts and they are totally banned in a few states in the United States, such as North Dakota, California and Montana. 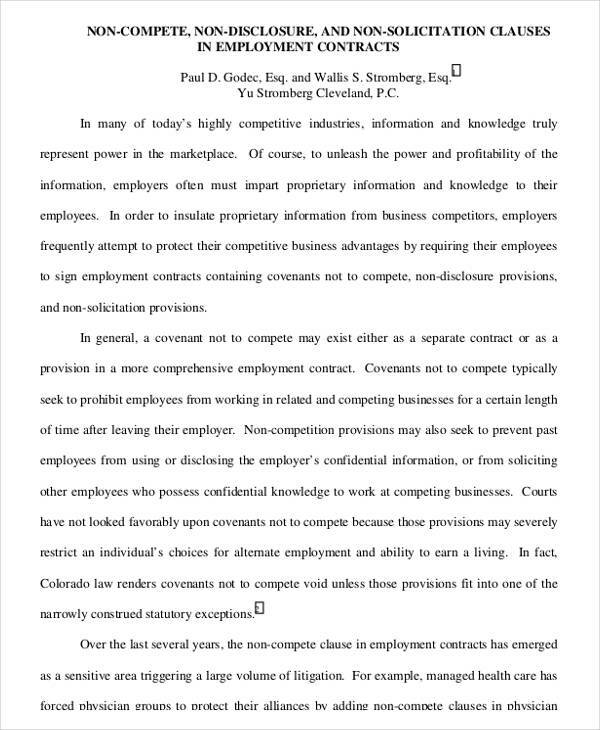 Non-compete agreements for employees may often seem unreasonable that is why there are certain factors that the court considers to help them decide whether the said non-compete agreement is reasonable or not. If you are interested to learn more about agreements, you may check out related articles on our website like Dealership Agreement Templates, Separation Agreement Templates, and Sample Commercial Loan Agreement Templates. Do you know the reason why an agreement is given so much importance by a lot of people and businesses? If you want to know why, we have gathered here some of the reasons that makes agreement important. A well written agreement clearly defines what the transaction is all about to ensure that no part of the provisions of the agreement will be misunderstood, which may lead to agreement violations or breaches. Agreement documents or written agreements serve as proof that a transaction about something took place and that the parties involved agreed to its terms and conditions by affixing their signatures on the document. This is one of the reasons why it is also one of the reasons why written agreements are preferred compared to verbal agreements. 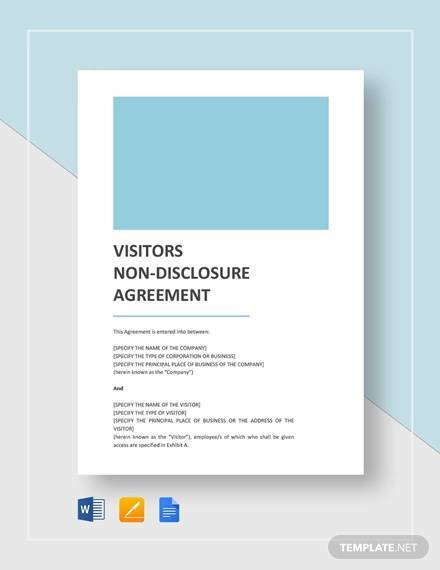 A written agreement can help prevent any misunderstanding from taking place.This is because it is where all the details of the agreement is recorded so it is used as reference to clear things out and ensure that there will be no misunderstanding. Agreements ensure that confidential and proprietary information are kept safe and protected from outsiders or from people who should not know of them. No individual or business would want to commit to something that they don’t trust or can’t trust. It’s hard to be in a transaction that may put one in trouble. Agreements provide security and peace of mind to those who get themselves involved in one. This is because agreements are legally binding and enforceable in the court of law, which assures that everyone involved will oblige to the provisions of the agreement. Expensive litigation proceedings are avoided with the presence of an agreement because the agreement provisions includes the remedies or compensation if a breach takes place. When a party violates the agreement, the remedies are first used first to settle things. If the issue can’t be settles with the provided remedies, it is then brought to court for litigation. A lot of people look down on agreements like they have no value or just mere pieces of paper which is evident on how people commit agreement violations and the likes. Agreements are actually not just ordinary documents or mere promises made by two or more people. They bear a person’s commitment to do something with another, and that should be respected. Other relates topics that you may find useful are Acquisition Agreement Samples and Templates, Business Sale Agreement Samples and Templates, and Sample Apartment Rental Agreement Templates. What are templates? Templates are ready to use documents complete with all the details that you need for a specific task or transaction you need to do. 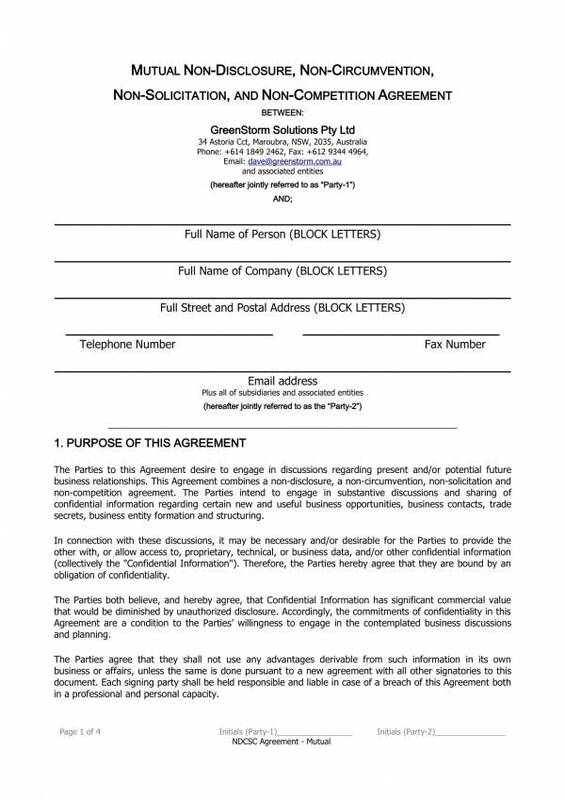 An agreement template is the best tool to use whenever you need to create an agreement document for any business or personal transaction that requires one. Here are some advantages for using agreement templates. Agreement templates are easy and convenient to use. This is because you just need to fill in the blanks with the appropriate and required information to complete the document. You don’t need special tools or any special training to be able to use one. That is why it is definitely easy and convenient to use. Agreement templates help save time and energy. Using an agreement template, instead of creating the same document whenever you need it is a much better way of doing things. You not only save time that you can use on other things, but you can also save energy and brainpower. Just imagine finishing the task faster than you used to without having ti squeeze your brain on what important details to include. That is what templates want to save you from. 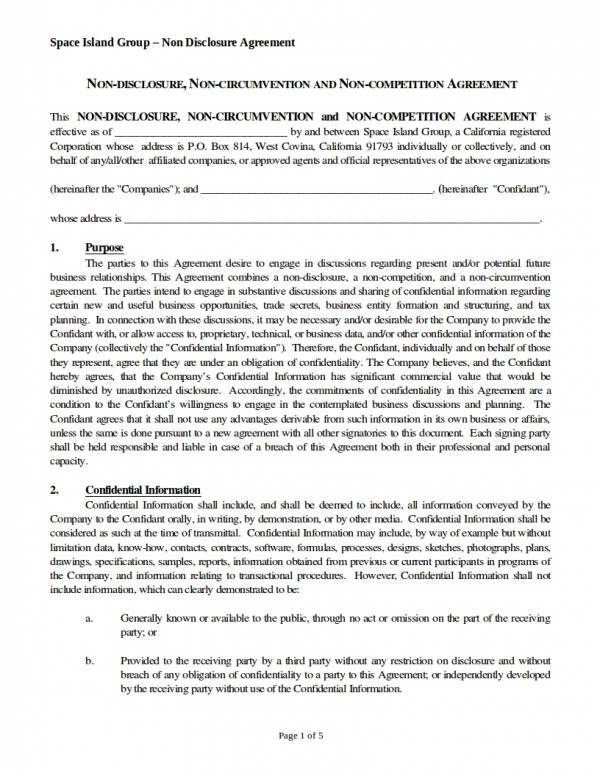 Agreements templates are complete and detailed. All of the details that you need in an agreement is included in an agreement template that is why you can definitely grantee that it is complete and detailed. Agreement templates are created by professions and has been revised a lot of times to ensure that they are reliable. 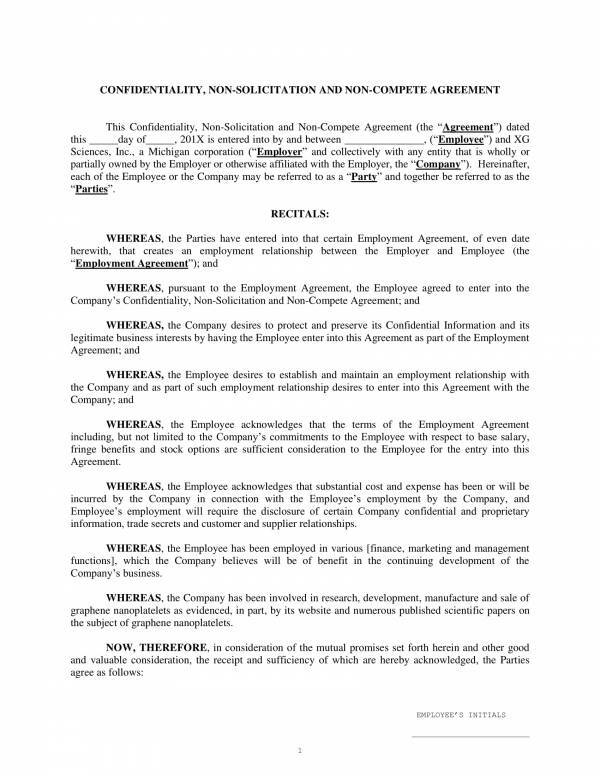 Agreements templates are editable and printable. Changes can be easily done with an agreement template because they are editable. So if you want to add or remove something from the template, you can easily do so and then have the changes you have made printed. 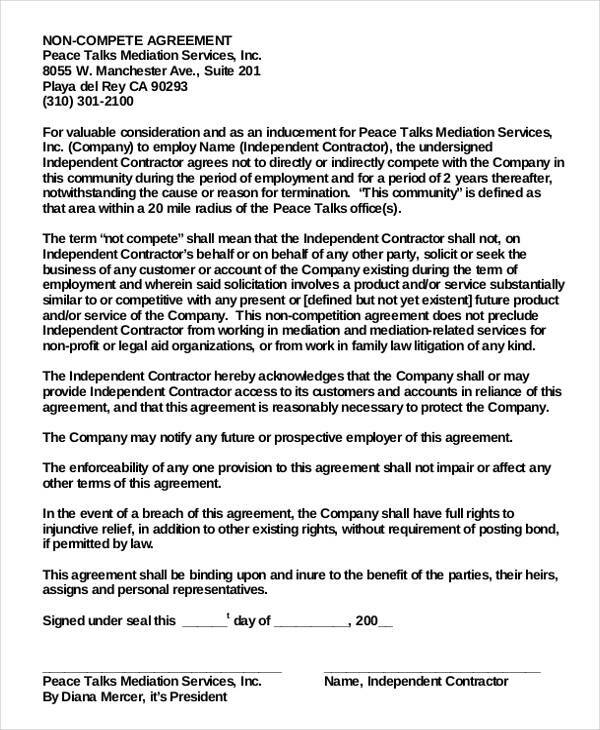 Agreements templates are available online and are mostly free. It’s easy to find agreement templates as they are available online in different types and varieties so you can make sure that you get the exact document that you need. Most of the templates are also offered for free so you don’t have to shell out any amount. It’s never too late to start using agreement templates or any type of template that you need. Regardless of what type they are, they are sure to offer you convenience and the rest of the advantages listed above. And the best best to get free samples templates would be on our website. We have their articles, like Executive Employment Agreement, Master Professional Services Agreement, and Investment Agreements Samples & Templates.